We are your local Sunshine Coast builder. Performing all types of residential construction, including new homes, town houses, renovations and extensions, kitchens and bathrooms. With over 20 years experience in the industry, Paragon Renovations and Extensions is the number one home and bathroom builder and renovator in the Sunshine Coast. We offer personalised service from concept to completion. Contact the builder direct for all your enquiries. Outdoor Living, Carports, Patios and More! 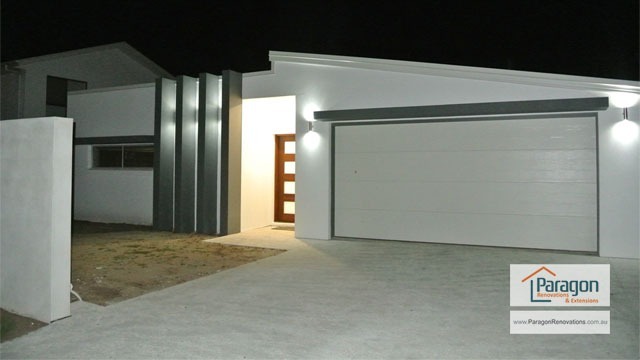 Paragon Renovations and Extensions are well-experienced in all kinds of building projects in the Sunshine Coast. Whether it be a carport to protect your vehicle, an outdoor living space to bring you closer to nature, a patio to provide an aesthetically pleasing living space, or anything else you can imagine, choose Paragon Renovations as your home builder. Do you need more space, but love the home you currently have? Do you have some rooms that you feel could look or work better? Are you after an entire house makeover? Whatever your situation, choose Paragon Renovations and Extensions as your Sunshine Coast home renovator. We are adept in renovating homes of every style, and adding extensions such as extra storeys and granny flats. We guarantee excellence every time, ensuring that at the end of the process, you will have a home that you will be proud of. Paragon Renovations and Extensions are ready to assist you with all your bathroom renovations in the Sunshine Coast. We are always professional and can assist you from the initial concept phase right through to completion. We work closely with our clients to ensure that they are getting the bathroom renovation that they desire. For a high quality, exciting bathroom design and finish, you can’t go past Paragon!